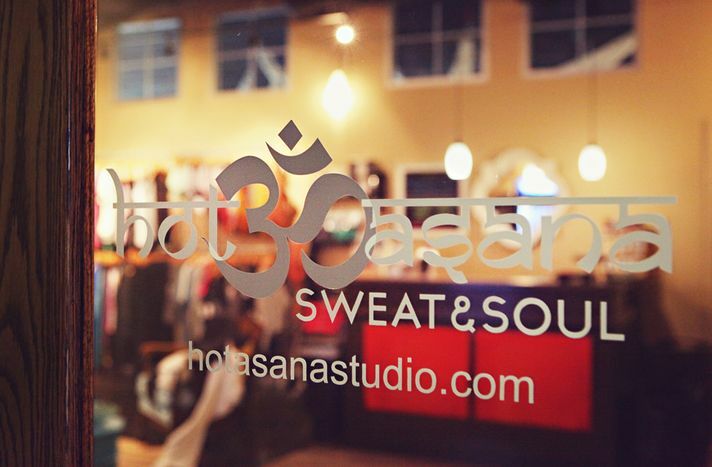 Located conveniently in the upscale Southpoint complex, our Durham studio offers a full line up of classes running all day for all experience levels, a fully stocked boutique, all the rental equipment needed, plus dynamic and inspiring teachers – even if you have never stepped inside a yoga room before, we have what you need to feel at home! Tall windows, vaulted ceilings, and contemporary decór blend with rich fabrics, warm lighting and soothing atmosphere to provide a welcoming, inspiring space in which to deepen your practice. 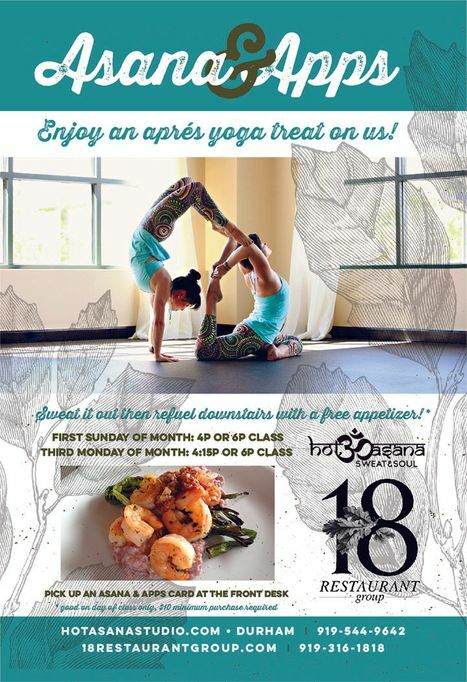 Join Angela and Brady for a rejuvenating reset of mind, body, and spirit. With the hustle and bustle and stresses of our fast-paced lives, it is easy to get "out of tune." These 2 hours will help you reconnect to yourself, "attune" your frequency, and raise your vibration. 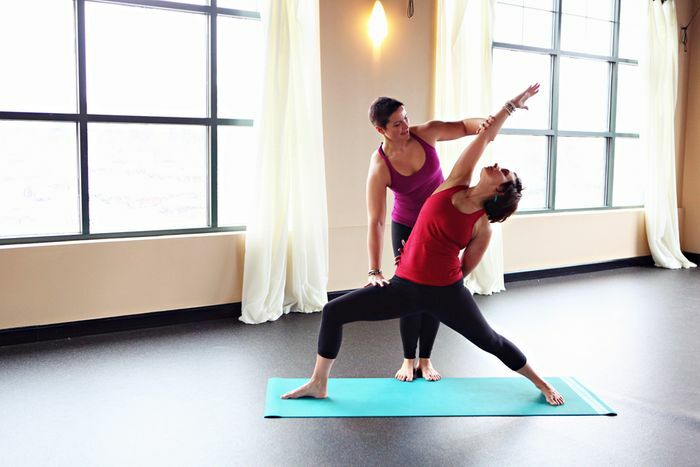 You will be guided into therapeutic postures, encouraging complete relaxation of the body. 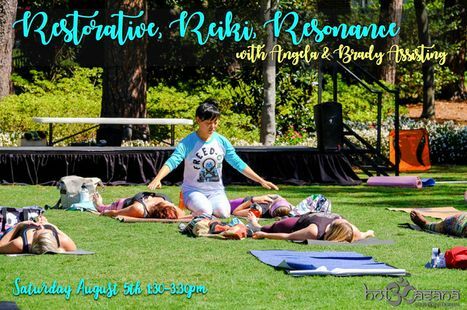 Angela and Brady will be performing Reiki, an energetic healing modality, throughout the class. And using the soothing sounds of a steel tongue drum, Angela, will guide you into a deep relaxation. This unique experience will leave you refreshed and feeling like new. There are only 35 spots, so save yours today! 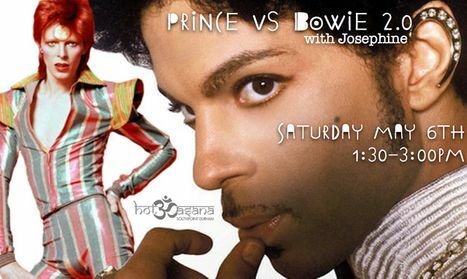 This 90 minute Hot Flow will be filled with music from Prince and David Bowie to honor all that they have given us. Your best purple, orange and sparkles expected. 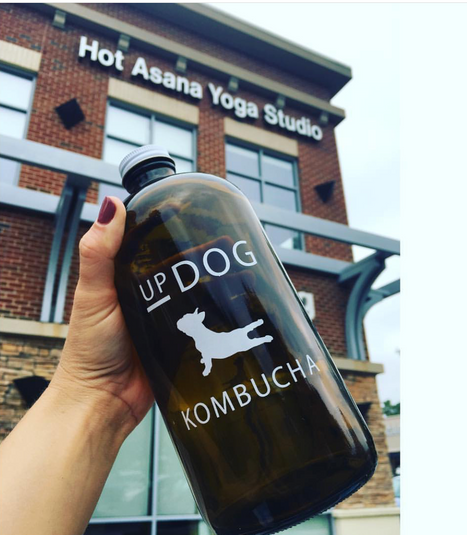 This 2 hour class begins with one hour of dynamic vinyasa flow and then finishes with one hour of blissful yin yoga AMAZING results! Join us for a high energy, up-tempo music with a blacklight environment!!! 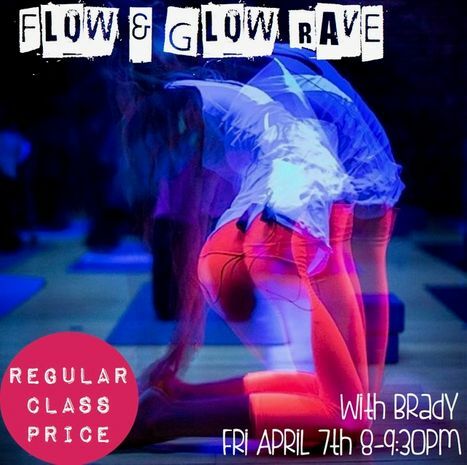 We will provide the glowing space, guide you through a challenging vinyasa flow, and all you need to do is show up wearing as much white or neon stuff as you've got:-)!!! Our goal is to crank it up a notch and give you a dynamic experience that will leave you glowing! Find your Flow will be 90 minutes of educational,workshop based breakdowns on how to properly execute your plank, chatturanga, updog and down dong; along with the basic alignment principles of common postures such as warrior 1,2 and lunges. Feel free to bring a notepad and of course a positive attitude! See you all there! 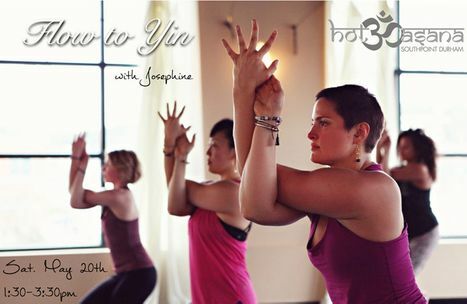 Join Courtney OM and Autumn Nicholas for a 90 minute hot vinyasa class! 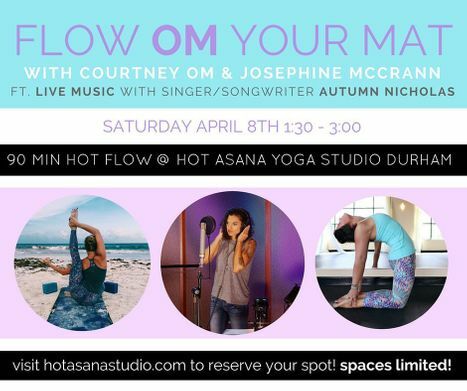 This won't be your typical iTunes playlist YOGA experience... you'll have the chance to get up close and personal with international singer songwriter Autumn Nicholas as she will be performing LIVE during Courtney OM's class! This experience is like no other.. song along, groove along and get sweaty with us on your mat!